Bell Helicopter Showcases Next Generation Products and Upgrades at 2013 Dubai Airshow. "We have spent more than half a century serving the Middle East and this region continues to represent a very important part of Bell Helicopter's balanced business strategy," said John Garrison, Bell Helicopter's president and CEO. "We are looking forward to showing our current and potential customers at the Dubai Airshow what our upgraded and next generation aircraft can do for them." 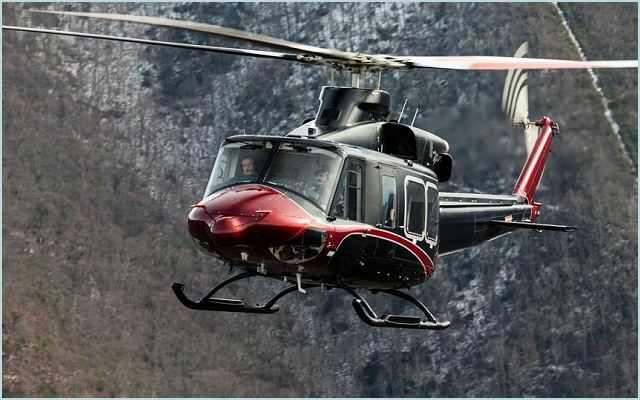 Six Bell products will be prominently featured at the Dubai Airshow, each uniquely suited for the challenging environment, geography and diverse missions of the region, including three newly upgraded and enhanced commercial aircraft - the Bell 412EPI, Bell 407GT and Bell 429WLG. Also scheduled for static display are three of the world's most advanced military rotorcraft - the Bell AH-1Z, Bell UH-1Y and the Bell-Boeing V-22 Osprey. 2013 marks the debut of the Bell AH-1Z and Bell UH-1Y at the Dubai Airshow. Bell Helicopter continues to invest in new products and upgrades to chart the future of rotorcraft. At the Dubai Airshow, the company will provide program updates for both commercial and military products, including its two next generation aircraft, the Bell 525 Relentless and Bell SLS. Bell Helicopter has had a significant presence in the Middle East for more than fifty years, offering its top ranked customer support and service, which has consistently been ranked #1 in leading aviation customer support rankings. At the Dubai Airshow, the company will also share plans for its continued investment in region. See the list of all military aircraft with their technical descriptions HERE.